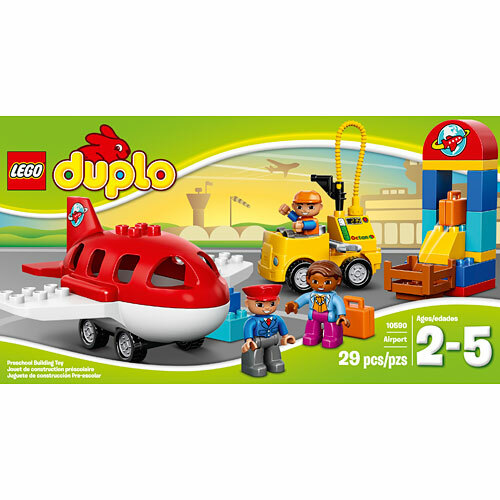 Get ready for take-off at the LEGO DUPLO Airport! Build the luggage check-in and make sure your suitcases are taken to the plane. 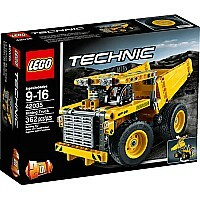 Drive the refueling truck over to fill up the plane. 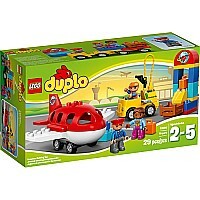 Then help the pilot take his seat and make sure all the passengers are on board ready to fly away. 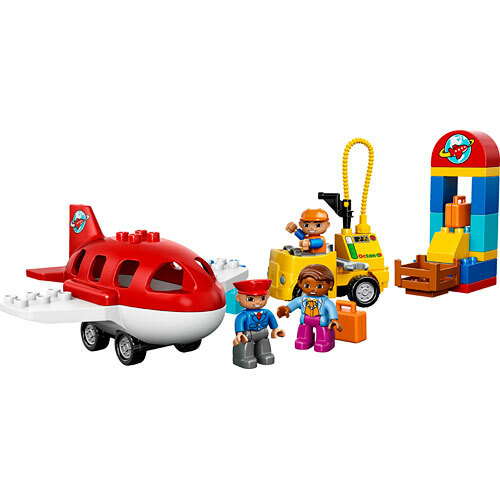 This set will keep any little pilot entertained as they master early building skills and enjoy playing with the two iconic airport vehicles. Use this set to talk to your child about what happens at the airport before their first trip on a plane! 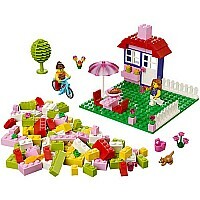 LEGO DUPLO bricks are brightly colored and designed especially to be safe for smaller hands. 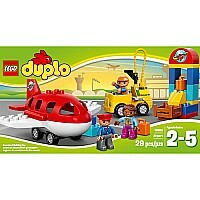 Includes three LEGO DUPLO figures: a passenger, pilot and an airport worker. 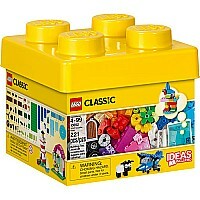 Measures approximately: 13.94 x 7.52 x 4.65 inches..